SCG Cutting Back Legacy - How Does This Impact Vintage? TheManaDrain.com > Vintage Community Discussion > General Community Discussion (Moderators: Zherbus, The Atog Lord, Godder, Demonic Attorney) > SCG Cutting Back Legacy - How Does This Impact Vintage? Re: SSG Cutting Back Legacy - How Does This Impact Vintage? There's some links between both eternal formats but I'm not sure that the thriving Legacy scene was reducing the Vintage player pool. It did reduce the amount of time people had to play Vintage but the prevalence of Legacy meant it was relatively easy to play Vintage once you had the Legacy cards. It might not be the case in the bigger Vintage areas but a lot of players play both formats because the Vintage tournaments are not frequent enough to sustain the Magic appetite of the players. Re: SCG Cutting Back Legacy - How Does This Impact Vintage? This feels like a somewhat inevitable death of the golden goose. SCG created demand for Legacy cards, milked and stoked price rises which in turn helped inspire speculation that kept new players out of the format. Given that the demand could never be sustained by reprints, everyone in on this wheeze has reaped what they've sewn and sadly, the demise of the format very cogently predicted by Steve Menendian and other is coming to pass. I'm sure it will limp on -at least it has GPs - but how long will those last, if part of the player base that attended SCG events migrates to, say, Modern? Personally, I hope it results in a price correction on some cards that found themselves relentlessly driven up in price despite only fringe playability (a number of Legends rares for example), but seeing another eternal format dead on its arse is still pretty miserable. It's MTGO or bust kids. Legacy and Vintage have been on the decline for years, Vintage more so. I know the champs events keep getting more popular every year but the local type events have a hard time firing. My LGS runs a legacy event every month but it rarely gets over 10 people. The player base now wants all cards to be cheap and they want WOTC to reprint everything so "everyone gets a trophy." Cost is the biggest factor when trying to get new players to switch from Standard to Eternal formats, IMO Modern is not eternal by the way. A standard player looks at the mana base and instantly scoffs at the prices or duals and complains its only for "rich" people. Proxy events help fight this but I personally don't want to play in proxy events when I own the real cards. I know that's a me problem and probably not the right attitude to have but I feel slighted if I lose to a "fake" card. In the end SCG will determine what formats make them the most amount of money and sell the most amount of product. The best way for the eternal player to fight this is to show to all the Sunday classic events that SCG puts on and voice our opinion with attendance numbers. *sign*....steps off soapbox. There are hundreds of new vintage players on MTGO. Paper tournaments will continue to decline because of card prices, obviously, and there's nothing anyone can do about that because of collectors and the reserved list policy. Maybe one day paper power will be considered worthless because MTGO is the preferred platform for Magic games. That would be a serious kick below the waist to collectors. The future is to have your entire collection in your pocket; and your music. This feels like a somewhat inevitable death of the golden goose. SCG created demand for Legacy cards, milked and stoked price rises which in turn helped inspire speculation that kept new players out of the format. Given that the deman could never be sustained by reprints, everyone in on this wheeze has reaped what they've seen and sadly, the demise of the format very cogently predicted by Steve Menendian and other is coming to pass. I'm sure it will limp on -at least it has GPs - but how long will those last, if part of the player base that attended SCG events migrates to, say, Modern? SCG Legacy Opens followed similar trajectory to SCG P9 Opens. When Wizards hardened the reserved list, I predicted that SCG would gradually diminish Legacy support and then, eventually, withdraw it. 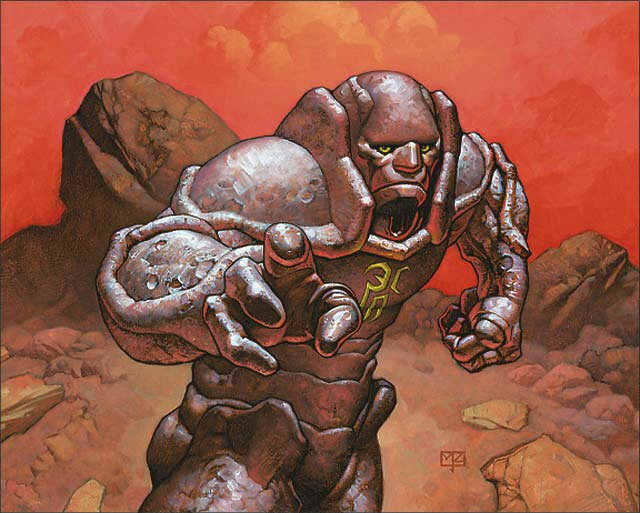 The implications for Vintage are a reminder of the harms of the Reserved list. And, we can hope that it might relieve some pressure on old school prices. Even 2% reduction in demand of dual lands can only help Old School and Vintage. Paper tournaments will continue to decline because of card prices, obviously, and there's nothing anyone can do about that because of collectors and the reserved list policy. Perhaps, but I feel like this has been the Type 1 refrain for almost 15yrs now. Even when beta moxes were $60-$100, all I ever heard at tournaments (while trying in vain to convert type 2 players) was how expensive type 1 was. 15 years ago it wasn't common to spend thousands of dollars on a hobby. Today it is much more common (whether tweaking a car, building a home theater, or investing in legos). While I agree that $20,000 decks seem prohibitively expensive, I also remember back in the late 90s that owning a $2000 deck was considered ludicrous. Though when you think about it, it's not that crazy. Some Magic players spend dozens of hours a week on Magic, and for years and years. I would be curious to see some aggregate on whether tournaments are truly becoming extinct or not. Fortunately I live in the Northeast, and if it wasn't for a newborn, I would pretty much have the opportunity to play in a tournament in the 2 hour radius every other weekend. I also used to live in the Northeast, JCB. The tournament scene there now still has the same number of participants, yet mostly all new faces. Most people are in your situation; can't make the tournaments because of other responsibilities and some of the others sold out because of the prices. One of my friends hardly plays, but It's also fun to remind him once a year that the value of his binder has increased $2,000. I was at his house when Heritage Druid hit $25 and we instantly put them on Ebay. It's like a no-brainer sometimes. The prices are affordable if you really want to play, but if you're not committed enough, the cold hard cash is just better. I don't think this will have much impact on prices, and even less on Vintage. Legacy playable cards are often on the reserved list or playable in other formats, up to casual staples, so even if there will be a slight decline it would just be temporarily. There is also a lot of support from independet tournament organizers, not to forget that Europe is also a thing and it looks like Europe might have 2 series coming next year with Legacy support. I don't think the diminished Legacy support is going to hurt Vintage, and it should drop the price on Revised duals as well. Revised duals are vastly over priced right now, both in terms of how rare they actually are (print run of about 300k is not rare) and in the prizes you can expect to win with them. There should be some correction there. Same with a card like Force of Will (probable print run of 1,000,000) and wasteland (also probably about 1,000,000). These numbers are based on the fact that the estimated sets of Fallen Empires was 744,000 and the print runs have only been going up. I think the best thing for Vintage, and for Legacy, would be the banishing of the reserved list, and the reprinting of these cards in a Vintage Masters style set (using the new MODO art where appropriate), with the duals, force, power etc being about as rare as an expedition land from BFZ. What would this reprinting do in the short term? The prices would surely drop, though I think the biggest drops would be cards like Revised duals, FoW, Wasteland which are priced as highly as they are because of the actions of SCG and their ilk, not because they are actually all that rare. I think the power would take smaller hits, because those cards are *actually* rare (total print run ABU is about 22,000) and their utility is already so low because of the smaller amount of tournaments, so most of their price is tied to overall rarity, as opposed to the overall usefulness of the overpriced Legacy staples. In the long term, these reprints could bring more people into both formats, and eventually correct and even raise the price of original power simply because the larger player pool could lead to an increase in demand on the original cards from people looking to pimp decks and such. At the very least, it would increase the utility of the cards we already own by virtue of more tournaments. Ultimately, greater utility is the best thing for us, because our original power is likely to hold some value even if the game itself died (look at expensive baseball cards that don't even do anything), but the best situation is one where the cards are easily used in a tournament setting, because of greater demand. Who would this decision actually hurt? Probably not you or I, the average collector/player. I think that ultimately this move would increase the value of our collections over the long run and the number of events available for us to play in. Even the people responsible for the prices being what they are would do fine in the long run as well, if you believe that the reprint would not tank the value of their assets. And you know what? Even if the values did come down more than I think, and didn't ultimately eclipse their current price, which I think they would...my biggest concern is playing with the cards that I own. I don't really care in the end if the hoarders and speculators lose their shirts, even if it means I lose a little bit on the eventual sale. I just want to play with the cards that I own. Shawn, Eternal Weekend had 483 players this year. The attendance at the NYSE Open nearly doubled from year one (78) by year three (150). Calvin is running 100+ player Vintage tournaments multiple times a year. Attendance is not the same, it has significantly gone up since 2012. Yes, the cards are expensive, but that's why it's a collectible card game. As long as Wizards is producing the game, there will be demand for the iconic, expensive cards, from years past. Legacy is a concession for me and not the format I would like to be playing. I refuse to compromise any further. Modern (its not competitive True Eternal if you lop off 11 years of cards), Standard and Commander hold little to no interest for me and I don't know what I'm going to do if there are no Legacy players locally. I urge a negative reaction instead of a positive one. I've tried the approach of throwing my money at a game company in hopes to let money talk and have been let down. I urge contacting SCG and letting them know that you want Legacy. Commenting on Pete Hoefling's post is fine but I think individual, personalized contact with the company would be more effective. Well, less support means a few things. We may well see a reduction in prices in the short term. It's already been happening, actually. See http://blog.mtgprice.com/2015/11/05/is-legacy-fading/. However, those price reductions on Legacy staples have only cut away at a fraction of the massive price increase that happened in 2014. I'm not optimistic that prices will tumble all that far. As Steve says, even a 2% reduction from where they are is welcome, but people will remember how much they paid for it and will be reluctant to sell off at a major loss. Prices will fall very gradually due to increased supply if people exit the format, or replace their cubes with counterfeit version of Legacy cards or whatever, but this will be very slow. You won't see prices go down too far, though. People still want older cards for Cube and EDH. So, for example, old Legends rares are probably going to stay stupid-expensive. Older cards spike based on new decks or performance in the SCG open. Look at what happened recently with Collective Voyage. http://www.mtgstocks.com/prints/18853. The silly thing spiked from $5.00 to over $20.00, and as far as anyone can tell, it happened because this silly deck took top eight. http://www.mtggoldfish.com/archetype/legacy-mono-green-eldrazi#paper. The thing is, that tournament only had nine players. But, spike it did! The point is that fewer tournaments mean fewer potential price spikes and thus a more calm price for Legacy staples.